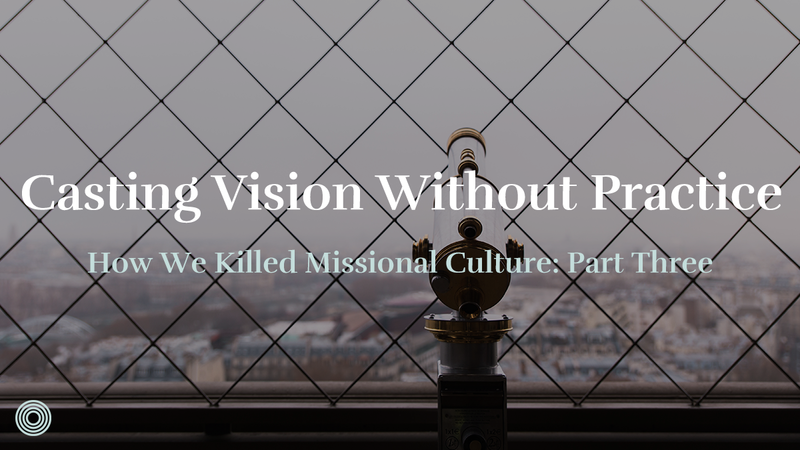 The second way we killed missional culture was casting vision without practices. We told people where we wanted them to go, but not what they should actually do. After casting a vision for mission, we kind of swung the pendulum to casting vision for the gospel. But we were still primarily only casting vision. We became a broken record for gospel-centrality. When anyone asked the question “what should I do?”, basically the answer was “repent, believe the gospel and go on mission”. We became annoyingly gospel-centered. To some extent, that’s a good thing. 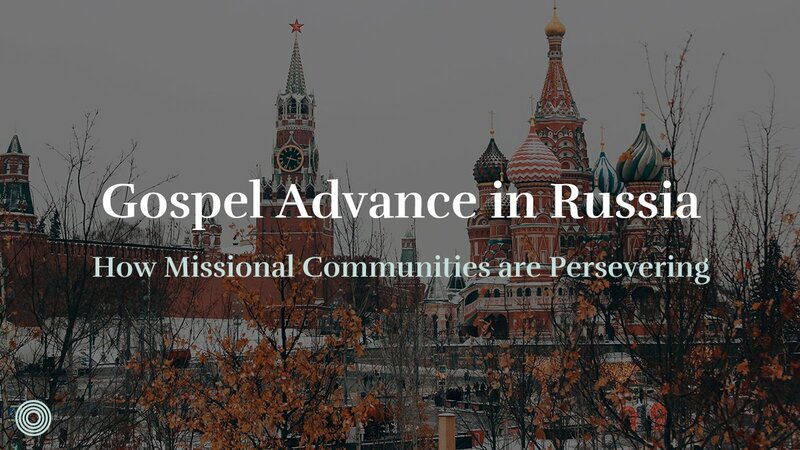 But a vision of the gospel mission without practices is exasperating for people who want to be on mission. People are told to believe the gospel, and they have a desire to be obedient to Jesus, but are left without any way to actually do it. Or even worse, they’re killing it on mission but still feel like a failure. 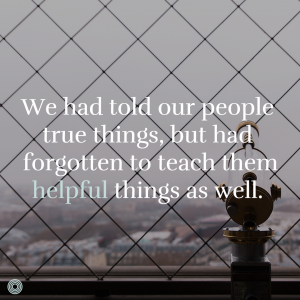 We had told our people true things, but had forgotten to teach them helpful things as well. I recently had a coaching conversation with a friend who leads a missional community in my neighborhood. We sat down for an ice-cold beverage at a local establishment, and I asked him how things were going. 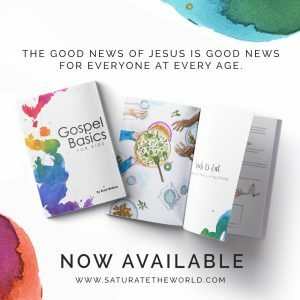 A couple who was in a rescue adoption situation – they were a newly married couple who was in faith adopting a family member’s child out of an abusive home. There was a woman who was diagnosed with kidney stones in their group, and they prayed for her to be healed. The next day received a report from the doctor that the stones were gone! They have had several non-Christians regularly join their community for a meal. Another guy in the group was currently studying the Bible with someone who didn’t know Jesus. How in the world did this guy think he was failing? I think it’s because he heard vision and the gospel, but didn’t have anyone affirming the basic practices of Christian discipleship. He had heard us talk about reaching our city, but hadn’t had anyone regularly teach and celebrate simple acts of obedience. 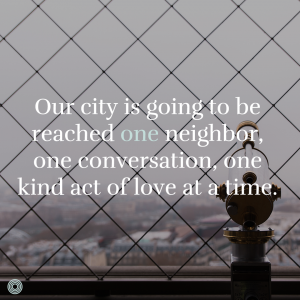 Our city is going to be reached one neighbor, one conversation, one kind act of love at a time. You see, we failed to equip him to act the vision in his suburban context – in the mundane of every day. This is the work of equipping the saints for the work of ministry. The gospel certainly is the foundation of equipping, but it doesn’t make practical stuff unnecessary. We had failed to help our people act themselves into a new way of thinking. Ephesians again is a gentle reminder for us as we pursue missional communities. We have rightly focused in the missional conversation on the 5-fold ministry. I want to draw your attention to verse 13. Let’s think about maturity for a moment. The image Paul is using here is one of a maturing body – bodies function properly because the different faculties are being disciplined over time. A healthy body is fed appropriately, trained repeatedly, and challenged consistently. Maturity and health don’t come from growing quickly. Maturity and health come from discipline incrementally over time. Part of the way we failed in maturing our body was giving a simple set of exercises that we could stick to beyond church attendance. 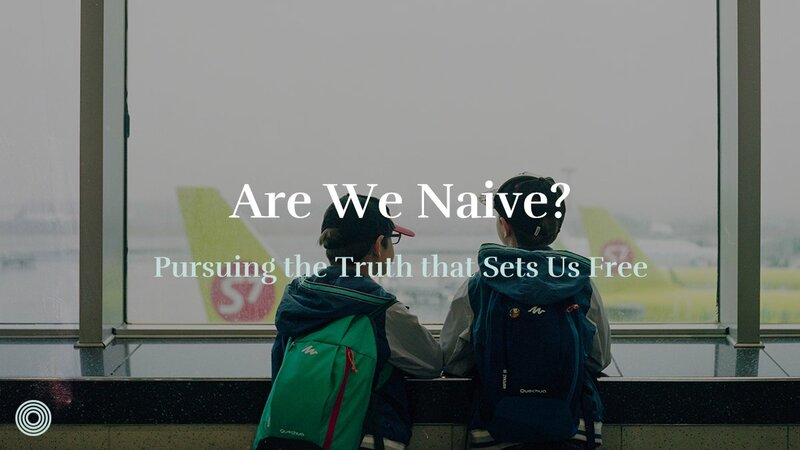 We had to teach consistently people a way to read their Bibles, we had to teach consistently people a way to repent of sin, and we had to teach people consistently a way to share the gospel with real people. 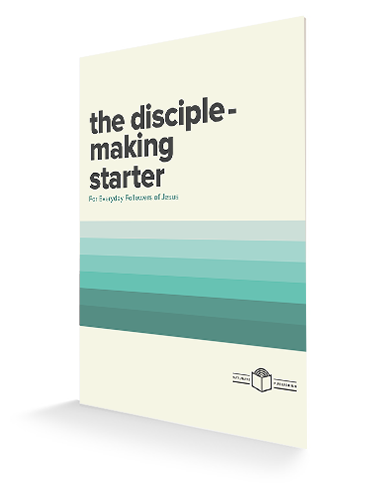 For a church to be mature, we need to equip the saints in the gospel, yes, but also in simple practices. You can have a vision of being a church that makes Christ known, but without consistent, thoughtful training and discipline, all you have is an unrealized desire. That’s because vision without practices is just a good idea. I want to implore you to cultivate a simple set of transferable and reproducible practices that you equip people to do repeatedly over time. Let me say that again. Simple, reproducible, transferable. Repeatedly, over time. Alan Hirsch says it this way – “you need to act yourself into a new way of thinking”. There are a lot of tools out there which are helpful. They won’t magically make you missional, but you need tools to help people put vision into practice. 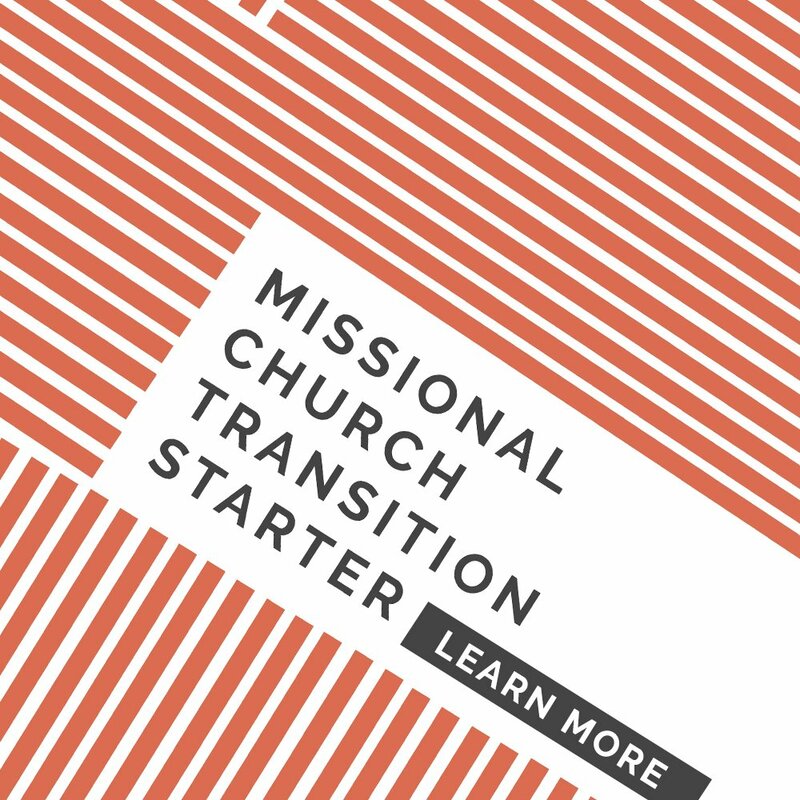 Don’t kill a missional culture by casting vision without practices. 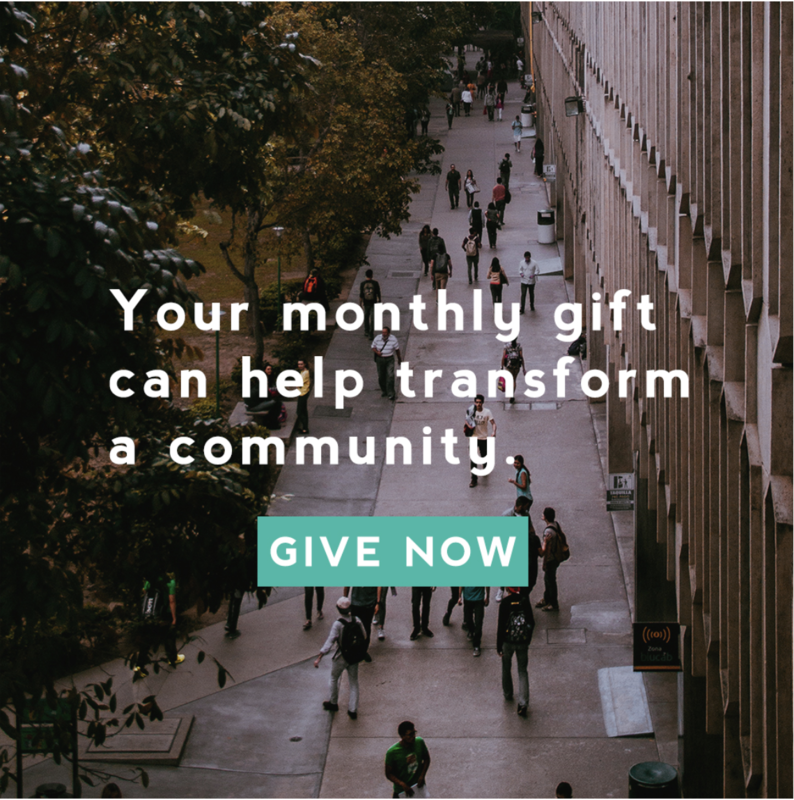 For us at The Austin Stone, the simple community practices of Life Transformation Groups, Family Meals, and Third Places helped the 60% of people with a desire to change actually take steps of obedience. Specifically, we taught people to gather in small communities in three different ways over time. The Life Transformation Group is where we gather to be a disciple, the Family Meal is where we gather to be a family, and a Third Place is where we gather to be missionaries. 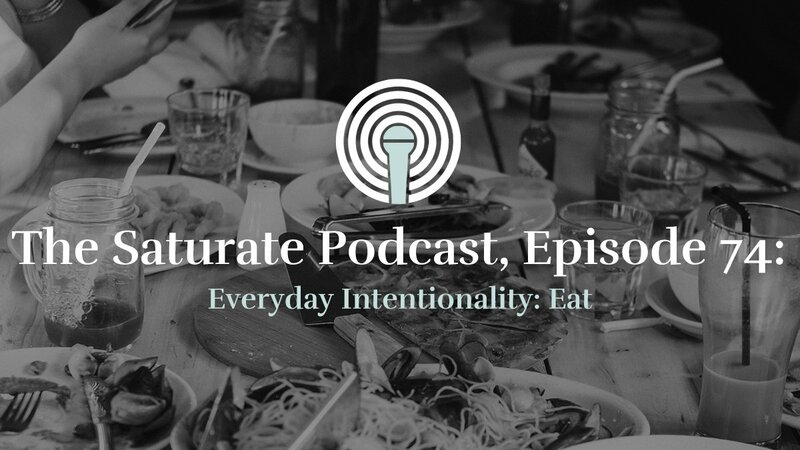 Sticking to these practices over time, and applying them in a variety of different contexts has helped that 60% act on their desire to live differently. What mistakes have you made in putting vision into practice?